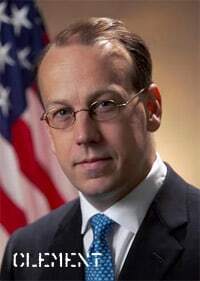 Former Bush Solicitor General Paul Clement will lead the defense of the Defense of Marriage Act in court, the National Review reports. How much will it cost and where will the House GOP get the money to defend DOMA? Up till now, House Speaker John Boehner, who has been leading the charge to defend the discriminatory law, hasn't said much. According to Boehner, funds for defending DOMA should be diverted from the Department of Justice. "Obviously, [the Department of Justice's] decision results in DOJ no longer needing the funds it would have otherwise expended defending the constitutionality of DOMA," he wrote on a letter released Monday. "It is my intent that those funds be diverted to the House for reimbursement of any costs incurred by and associated with the House, and not DOJ, defending DOMA." Boehner's letter was addressed to House Minority Leader Nancy Pelosi, who is among the Democrats who have raised concerns about the cost of the House defending the law. It is not clear how much money Boehner would seek from DOJ, which has said in the past there is not a specific funding allocation for defending the law. "I would welcome your joining me in support of redirecting those resources from the DOJ to the House that would otherwise have been necessary expenses on the Attorney General to defend this federal statute," wrote Boehner. Boehner's appeal may largely be symbolic, since the Democrat-led Senate would have to approve the diversion of DOJ funds to the House – an unlikely prospect. As I noted earlier, today is the deadline for the House to file a motion in Windsor v. United States of America, one of the major cases challenging DOMA.